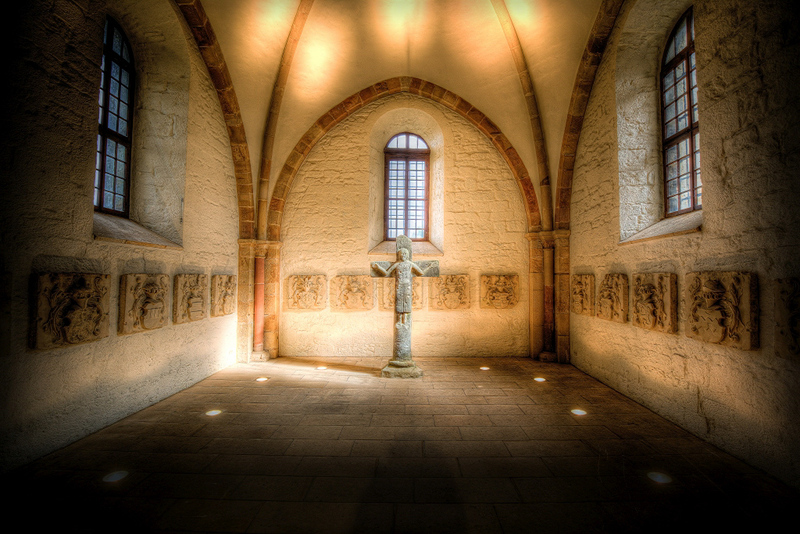 This early Romanesque stone cross of the Crucified Christ, the “Herrgott of Bentheim” (made around AD 1000) is one of the earliest portrayals of Christ in Central Europe. It is a trademark of Grafschaft County, being one of the oldest attests to Christian life in the region. It was found in 1828, turned over as a wayside Cross on a field near the Castle. Meanwhile, the Hergott of Bentheim has found a safe place in St. Catherine's Church.